Slick design. 3 1/2" tall solid S. S. basket with handle. 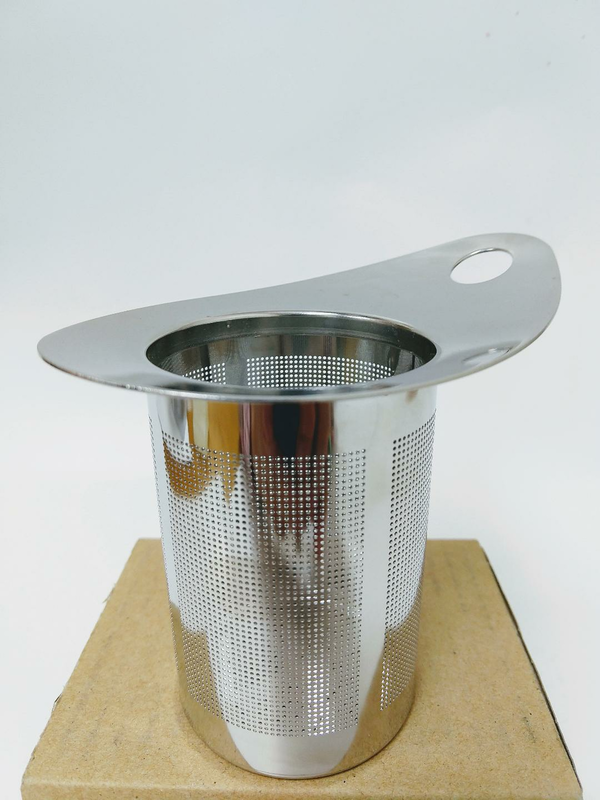 Great for tall cups with wide opening.